So...I'm in the middle of a heated discussion about the merits of dual or non-dual licensing with Stein and DannyB. 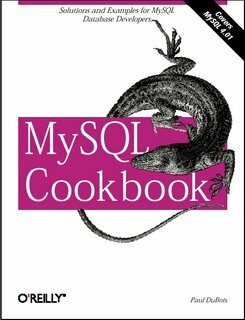 The door is closed, we're going on around a really tricky problem with license intermingling and whether or not we should advocate this approach or that and for what reasons when a dude throws open my door and says something along the lines of "Oh my god, you have the mysql Cookbook, can I read it, I've been looking for it all over and I really need it..."
So I say something along the lines of "we're in the middle of a flipping meeting here! Get out!" and he says "No, I ..." and I realize he's just excited that someone magically has the book he needs.... which I guess I understand... and now I'm feeling guilty for hollering at him, so I say "Wait...which book"
"Here take it! I'll get another" and I toss it at him... "Keep it, seriously." Whenever I dive into a new bit of coding, I look for an example. A simple to use, doesn't do much example. From the example here, which is too complex to show the basics, I derived this simple python xmpp program. Indeed it is missing everything but I was able to im myself without worrying too much about other junk. Instant gratification is -very- important in programming. It doesn't even take responses, but it works well enough. To use it, replace my username and such with yours. Magic! Yes, I'm writing another bot. Yes, I have some genetic need to write bots for all mediums. (last one was an IRC bot for the game studio I cofounded and augered into the ground) You'll need to apt-get python-xmpp before this will work.